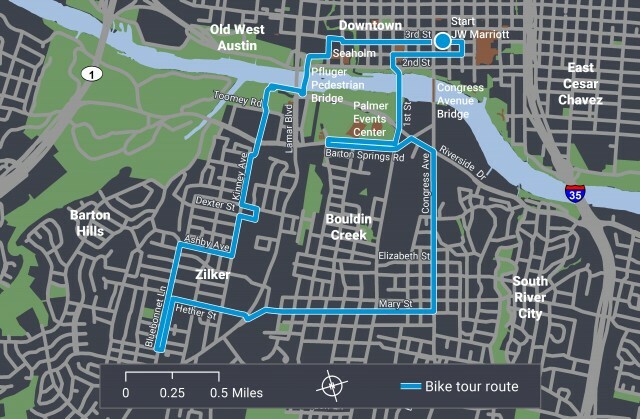 Learn how bike facilities in Austin are connecting communities and encouraging family-friendly cycling through the use of thoughtful and innovative design. 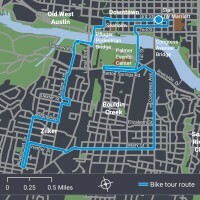 The tour includes frequent stops to discuss context, constraints, and success stories. See the popular tourist destination of South Congress (SoCo), a cycle track in front of a neighborhood elementary school, plus Fairy Alley – an artist’s transformation recreated by the award-winning Neighborhood Partnering Program. Tour includes multiple one and two-way protected bike lanes, buffered bicycle lanes, bicycle lanes, bike/ped trails and a bridge.